Oh boy. So yeah, 1.5 years later, here I am, making the last post on my Kingdom Hearts series. I actually finished the game this past summer, but due to a myriad of circumstances, I’m only now getting around to actually posting my thoughts on it. And what I will say is that this game was great!! The plot of this game picks up after Re:Coded finishes, where Sora and Riku must take their Mark of Mastery exam. They have to travel to various worlds, which are disconnected from the regular worlds, and wake them up by opening the 7 Keyholes of Sleep. They have to fight these new creatures, called Dream Eaters. The twist here is that there are 2 kinds of Dream Eaters: Spirit and Nightmares. While you fight the Nightmare versions, you actually train the Spirit versions as a sort of pet that will fight alongside you, which adds an interesting twist to the game (as you aren’t rolling around with Donald & Goofy this time around). You take turns switching between Sora & Riku (after a period of actual in-game time). As the story progresses and you close off the worlds, Sora travels to the World that Never Was. He learns that the main foe, a young version of Xehonart, is trying to gather versions of himself across time to create a new Organization XIII that can be pitted against the 7 “Guardians of Light” in order to forge the X-blade. Sora defeats Xemnas, but his heart is then swallowed in darkness and is encased in Ventus’ armor (from Birth by Sleep…see where this is going?) At the same time, Riku is being guided by Ansem, and eventually makes his way to the Castle that Never Was and defeats this young version of Xehonart. Xehonart says they will be back (hinting at KH3), and Riku brings Sora back to Yen Sid, enter his dreams and wakes him up. Afterwards, Riku is declared a Keyblade Master (finally!!). At the end (and included in the secret ending), Yen Sid and Mickey discuss the 7 Keyblade wielders (the “Guardians of Light”), who will be needed to prevent Xehonart from forging the X-blade. These 7 are: Sora, Riku, Mickey, Aqua, Terra, Ventus, and to everyone’s surprise, Kairi. The worlds you get to travel to this time are almost completely new: La Cité des Cloches (The Hunchback of Notre Dame), The Grid (Tron: Legacy), Prankster’s Paradise (Pinocchio), Country of the Musketeers (Mickey, Donald, Goofy: The Three Musketeers), and Symphony of Sorcery (Fantasia). You also travel to Traverse Town (and visit an entirely new area never seen in any of the previous games), and The World That Never Was. After spending the last game re-treading a lot of the same areas, it’s was awesome to see something new. Also, with this game being on the 3DS (and therefore being the most technically advanced system that a Kingdom Hearts game has appeared on, minus the recent HD ports), this is actually one of the best looking games in the series. The animations are much smoother, and the visual effects are spectacular for Kingdom Hearts. It was really nice to see (and gets me super excited for KH3 on a current generation system). The gameplay itself was pretty standard fare for a Kingdom Hearts game, and when I first started playing, I thought I was going to give up on the game (in all reality, I actually did…from the time of my last post 1.5 years ago, I actually started the game, but stopped until this July). They were trying to introduce a lot of new features that I thought was just going to needlessly complicate things (raising Dream Eaters, the various new combat abilities, etc). It turns out, a lot of that extra stuff wasn’t really required, and once I picked the game back up, I simply played it like the other KH games, and had a blast. Also, getting the secret ending ending this time around was much easier…you only had to get a certain number of trophies (7 in my case, as I was playing on Normal). A lot of these trophies were also very easy to get, so I did spend the extra time to gather them all. I think what did it for me was that this game finally resolved the 2 storylines that have been ongoing: The main story with Sora & Riku, and the new story introduced in Birth By Sleep with Aqua, Terra & Ventus. By the end of this game, KH3 is set up perfectly, and I couldn’t be more excited (you know, whenever it comes out in 2050). It’s a must-play for all Kingdom Hearts fans, but if you haven’t played it yet, feel free to wait for the new HD collection coming sometime this year (Kingdom Hearts HD 2.8 Final Chapter Prologue…that’s a mouthful, isn’t it?). 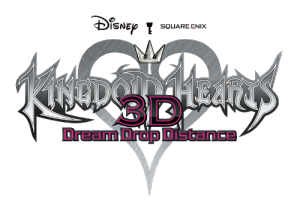 This collection will contain an HD port (well, remake actually) of Dream Drop Distance, and I’m sure will look and play incredible. When I started this series, I figured KH3D would be the last game in the series before KH3, and I was doing this to prepare myself for that game. This has since changed a bit, and the aforementioned 2.8 HD collection will contain 1 new piece of content, the story of Aqua (when she entered the Realm of Darkness) called Kingdom Hearts 0.2: Birth by Sleep – A Fragmentary Passage (don’t you just love these titles?). I will be doing a post on this as well whenever it actually comes out, but I did want to say that this entire series was a blast. I had a lot of fun going through all of these games (yes, even the bad ones :)). I’m going to likely continue this in the future, and this time I have my sights set on the entire Final Fantasy series. I am not going to put a due date on this at all, so posts will come as they come. I also don’t want to take up all my gaming time with this either (there are a lot of these!!). Hopefully you’ve all had fun reading these as much as I had playing and writing it!! Copyright © 2019 DarinCasier.com. Proudly powered by WordPress. BoldR design by Iceable Themes.